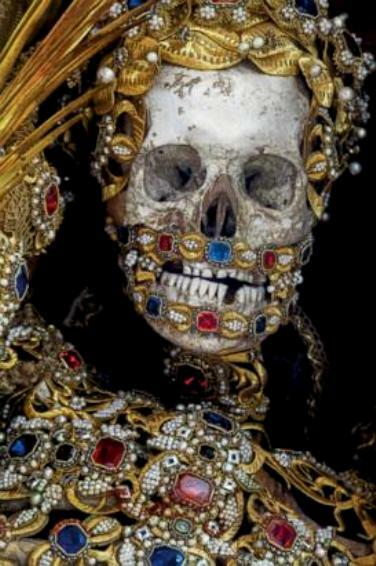 Death has never looked so beautiful. 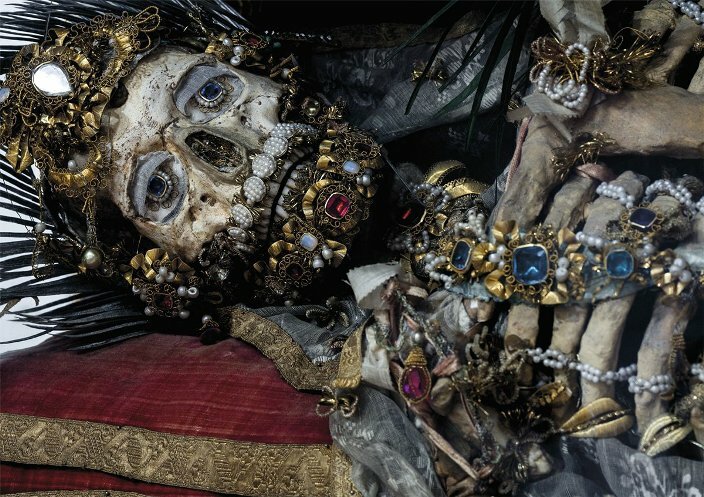 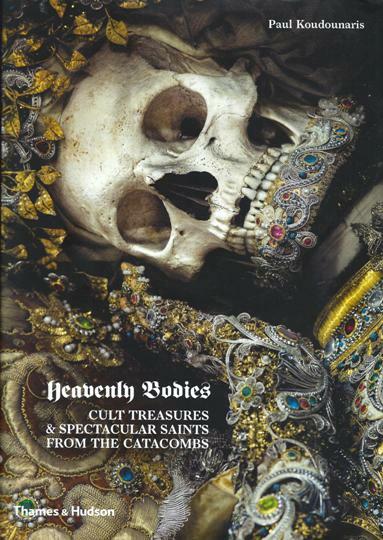 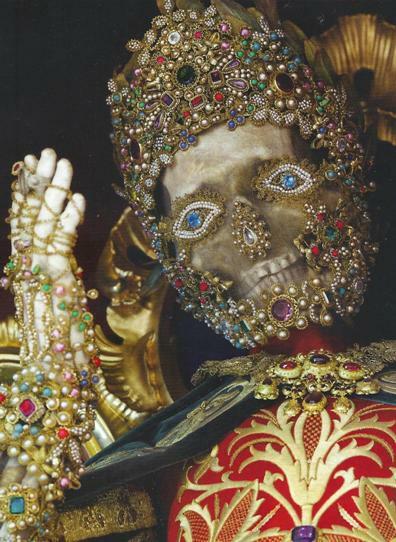 The fully articulated skeleton of a female saint, dressed in an intricate costume of silk brocade and gold lace, withered fingers glittering with colorful rubies, emeralds, and pearls—this is only one of the specially photographed relics featured in Heavenly Bodies. 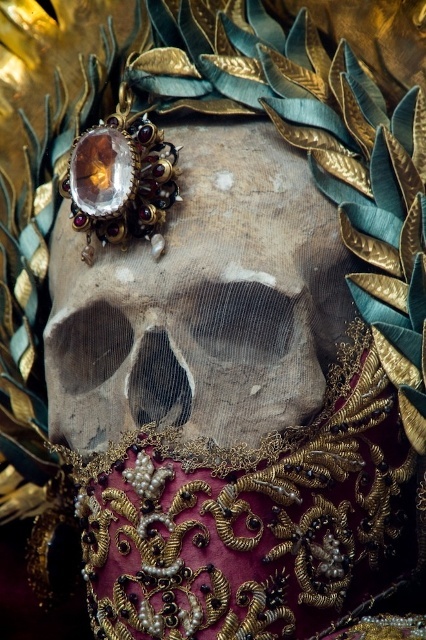 In 1578 news came of the discovery in Rome of a labyrinth of underground tombs, which were thought to hold the remains of thousands of early Christian martyrs. 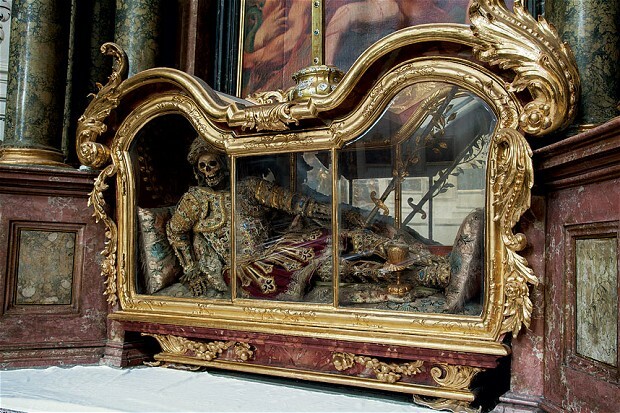 Skeletons of these supposed saints were subsequently sent to Catholic churches and religious houses in German-speaking Europe to replace holy relics that had been destroyed in the wake of the Protestant Reformation. 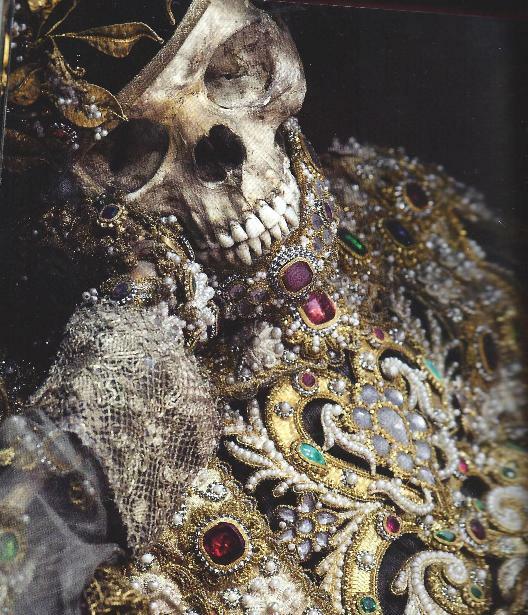 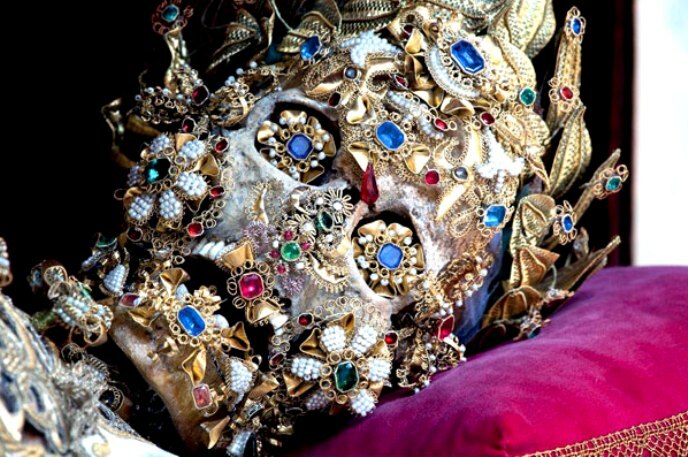 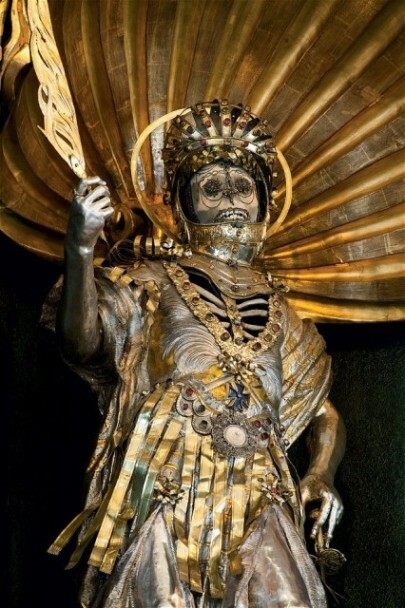 The skeletons, known as “the catacomb saints,” were carefully reassembled, richly dressed in fantastic costumes, wigs, crowns, jewels, and armor, and posed in elaborate displays inside churches and shrines as reminders to the faithful of the heavenly treasures that awaited them after death. 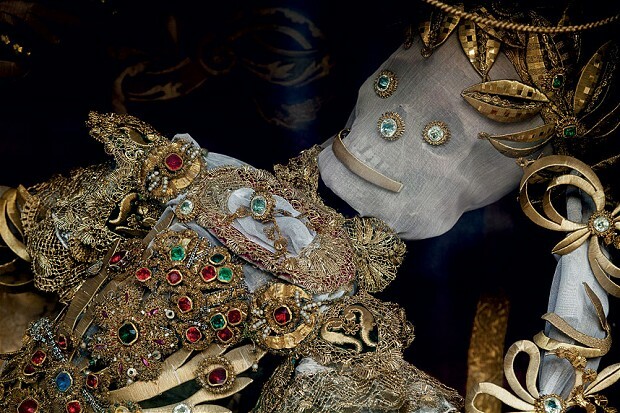 Paul Koudounaris gained unprecedented access to religious institutions to reveal these fascinating historical artifacts. 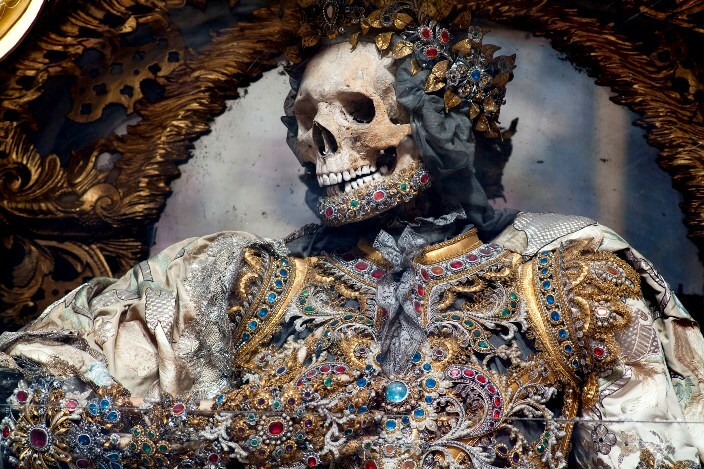 Hidden for over a century as Western attitudes toward both the worship of holy relics and death itself changed, some of these ornamented skeletons appear in publication here for the first time.